I used Sephora by OPI's Casanova is so Into Me for the dark pink color. 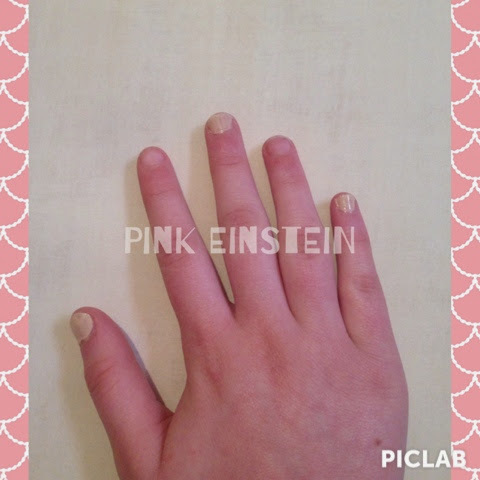 For the Creme color I used Sally Hansen's Without a Stich. 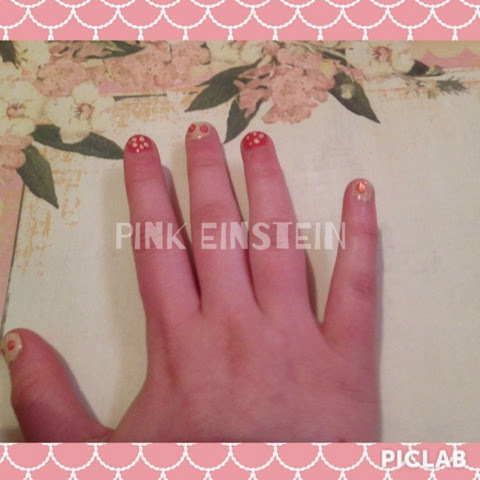 For the shimmery pink I used Sunrise Sunset by No-Miss Nail Care. And the green color is by Groovy Gal nail polish (I didn't have any other green). You will also need a top coat, a toothpick, and a Q-Tip. 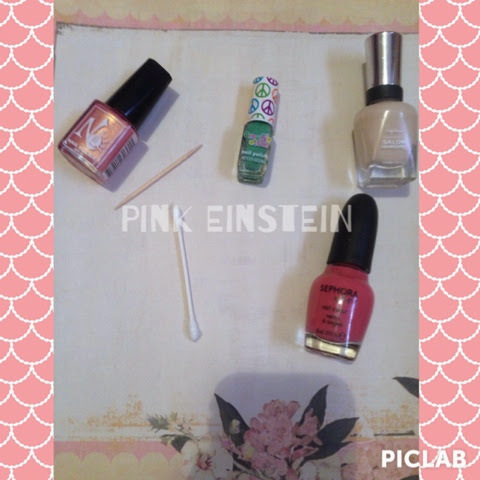 Step 1: Paint every other finger nail Creme. 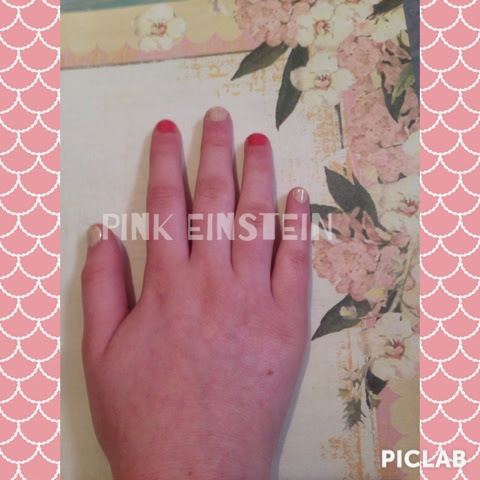 Step 2: Paint the unpainted nails a dark pink. 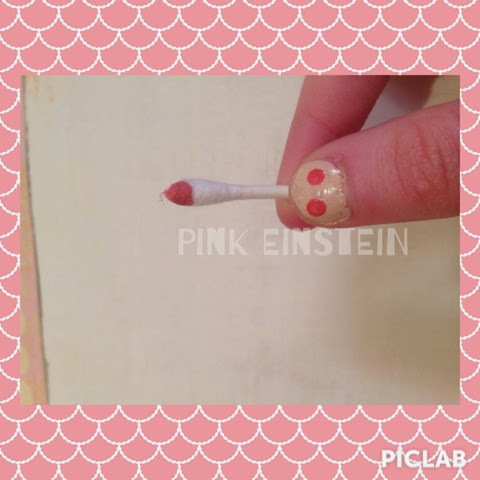 Step 3: Using the Q-tip dip it in pink and. 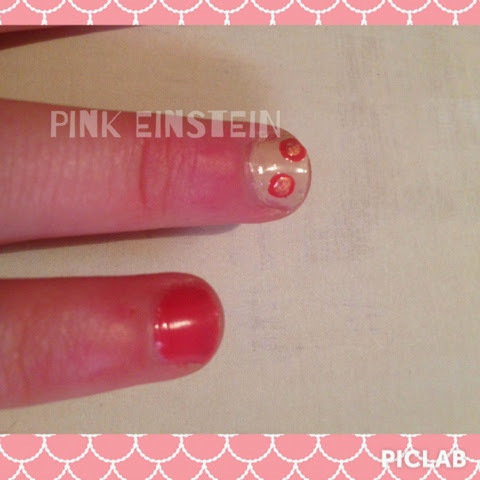 Put two dots on your Creme painted finger nail. 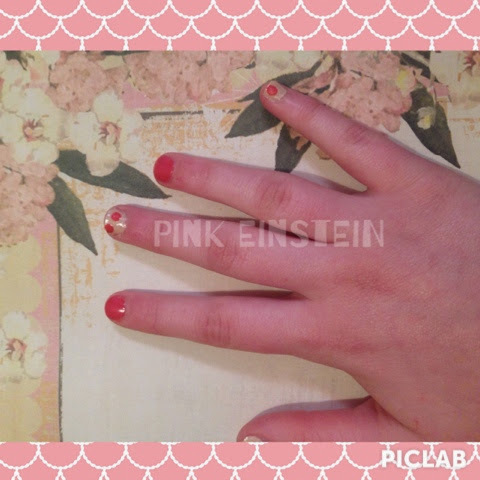 Step 4: using the shimmery pink put a smaller dot on the dark pink dot. 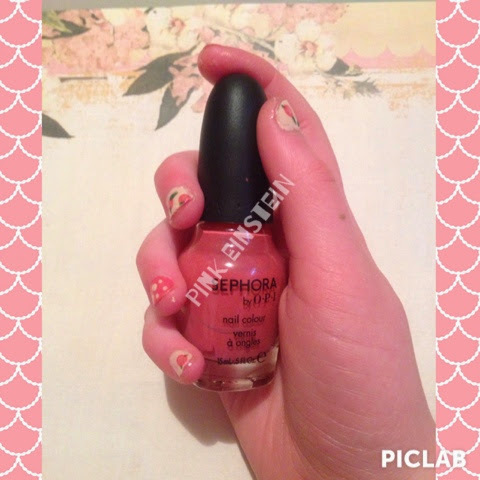 Step 5: On your dark pink painted nails use a toothpick and make Creme dots. 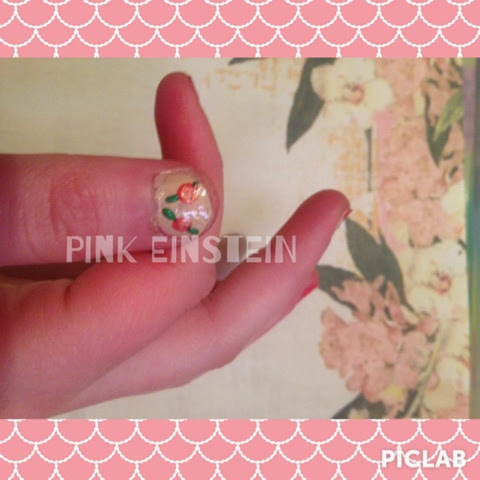 Step 6: Using the toothpick and green polish make flower leaves.